While dog ear infections are not generally a serious condition, they can turn into one pretty quick. They are also very uncomfortable for your dog, so it is important to identify them as soon as possible so you can begin treatment as soon as possible. There are many ways a dog can contract an ear infection. If your dog spends a lot of time in moist conditions such as swimming, he may be prone to getting an ear infection. Dogs who are prone to allergies seem to contract ear infections as a side effect. Normally, allergy related ear infections are the yeast kind. Other symptoms in association with allergies include wheezing, excessive itching and sneezing. Dogs with ﬂoppy ears such as Cocker Spaniels, Shih Tzus, Lhasa Apsos and Beagles, get moisture trapped in their ears a lot easier than other breeds. It is also known that dogs with excess hair in their ears have a higher risk of ear infections as well. - Redness and swelling, most noticeable int he inner ear ﬂap, or in the ear canal. - Excessive scratching, rubbing or head shaking. - Head tilting and loss of coordination. 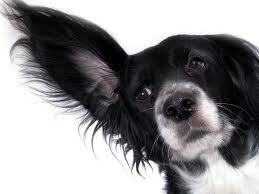 - Unusual odor coming from your dogʼs ears. Ear infections can last anywhere from a few days to a couple weeks. You will likely be able to tell if your dog is uncomfortable. Some breeds are more susceptible to ear infections than others. These breeds include Dobermans, Poodles or Schnauzers. If an ear infection goes untreated, it can pass through the ear canal and into the central nerve system, which can cause hearing loss, illness and even death. If you suspect your dog may have an ear infection, call your veterinarian to begin treatment as soon as possible. There are a number of home remedies for dog ear infections you can use to help reduce swelling, ease pain and simply help keep the ear clean during treatment. Most items can be found at your local grocery store. It is important to note that these home remedies are not cures for your dogʼs ear infection. Always take your dog to the veterinarian if you suspect he may have an ear infection and receive proper treatment. Yeast infections in the ears may be a little harder to cure, and they can be recurring. Diet is also important for helping cure ear infections. Probiotics, enzymes, fatty acids and antioxidants are all excellent to give to your dog during an ear infection. These help to boost the immune system and ﬁght off secondary illnesses. Probiotics also help to replenish the good bacteria that your dog needs. Often times antibiotics will kill off the good bacteria during treatment.